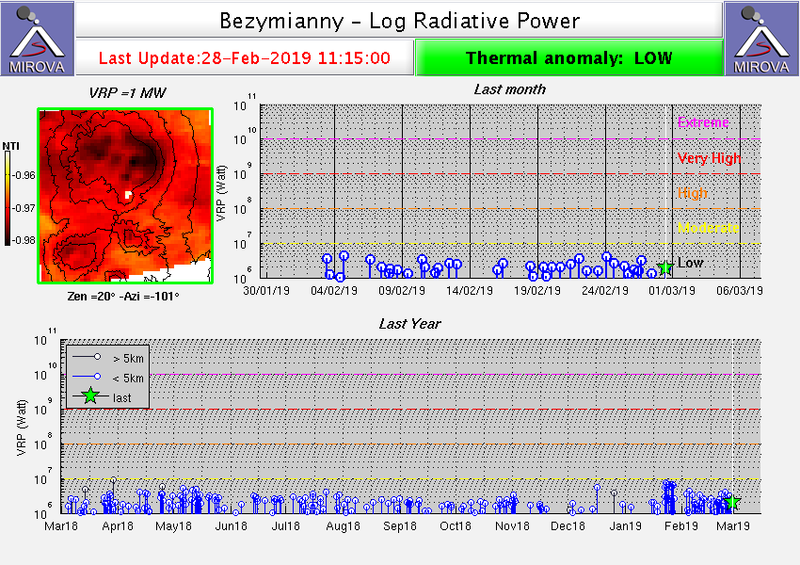 According to the latest Smithsonian / USGS Weekly Volcanic Activity Report 20-26 February 2019, KVERT reported increased activity at Bezymianny yesterday. Nighttime crater incandescence and hot avalanches originating from the lava dome, as well as occasionally strong fumarolic activity were observed. The report noted that the temperature of the thermal anomaly was gradually increasing. The Aviation Color Code was raised to Orange (the second highest level on a four-color scale).